Article 41 of the Colorado code establishes a system called workers’ compensation that dictates the rules under which employees receive payments and benefits for work injuries. Under the relevant code section, employers are required to pay all medical aid to employees related to the on-the-job injury. Unfortunately, sometimes employers do not pay the medical benefits as required. They may try to force patients to see pro-insurance doctors who recommend treatments based on saving money or who send workers back to work before they are ready. They may even deny payment for legitimate medical treatments that are necessary to get you better. When your medical benefits are unfairly limited, it is very important to take action to protect your legal rights. Residents of Boulder, Thornton, Longmont, Louisville, Lafayette, Erie, Broomfield, Lyons, Mead, Loveland, Wheatridge, Greeley, Ft. Collins, Superior, Denver and the entire Colorado front range can contact The Dominick Law Firm today at (303) 447-2644 or using our online form for a free consultation to learn how our Boulder workers compensation lawyers can help. Essentially, this means that all employers have to pay any medical bills that arise directly out of a work injury and that are needed to help an employee to get better. Unfortunately, while Colorado workers’ compensation law is clear that employers have to pay, employers are also given the authority to choose the doctors that their employees can use. Although employees can see whatever doctor they want if their employer doesn’t give them a list of doctors to see, most employers do choose the doctors for their employees so that they can choose someone who is pro-insurance and who will focus on cost containment. The doctor owes a duty to the patient, but will ultimately have loyalty to the employer and insurer whom he has a relationship with and he may be more conservative in recommending costly treatments than your own doctor would. He may also try to send you back to work or release you to perform restricted duty work before you actually are ready. Though you are restricted in how often you can change doctors and may only request a single change within 45 days of the injury, you are entitled to receive skilled and comprehensive medical care from any physician treating you- even one chosen by your employer. This means that if you believe your doctor is not looking out for your interests, you should take action and get help from a Denver workers’ compensation lawyer who can fight for your right to get the medical treatment you deserve. Another problem that may also result in you needing to speak to a lawyer is when the insurance company denies medical treatment that has been recommended by your authorized treating physician. When an insurance company does not believe a treatment is necessary, they can refuse authorization and require that an independent medical examiner evaluate your situation to determine the appropriateness of the proposed treatment. Like doctors chosen by your insurer, these independent medical examiners often have a loyalty to the insurer who sends them business and may not give a truly objective and honest evaluation of your case. If this occurs and your medical treatment is denied, you may need to appeal and have your case hard by an administrative law judge. A workers’ compensation attorney can help. Finally, when you are trying to collect medical benefits from workers’ compensation, a nurse case manager may be yet another obstacle. A nurse case manager may be assigned to accompany you on appointments with your treating physician and to otherwise coordinate treatment and manage your care. You may believe that this is a nice service provided to help you get better, but in reality, the role of a nurse case manager is often to allow the insurer more control over your treatment and to push the treating physician to release you early for full or partial return to duty. You do not have to have a nurse case manager and you typically should let the insurer know- in writing- that you don’t want one and that you do not authorize a nurse case manager to discuss your medical issues with your doctor. 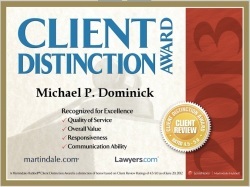 The Dominick Law Firm knows how important it is to you to get the treatment you need to get better. Our Boulder workers’ compensation firm has assisted clients to fight for their right to full medical benefits throughout Boulder, Longmont, Louisville, Lafayette, Erie, Broomfield, Greeley, Ft. Collins, Superior, Denver and the entire Colorado Front range. If you live in this area and need assistance with your workers compensation claim, contact us today at (303) 447-2644 or using our online form for a free consultation to learn how we can help.